A Nigerian man has remained calm as a cucumber in the face of an occurrence that would rattle and maybe shatter most other people. 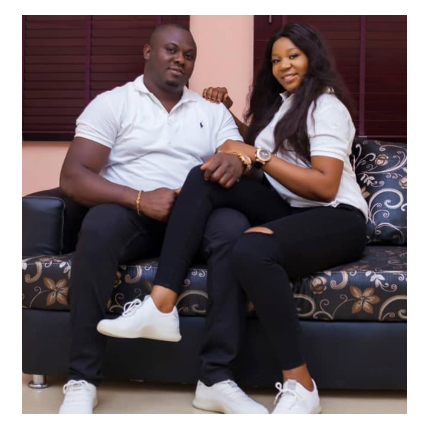 Marshal Bernard took to his Facebook account to announce to his friends that his wedding slated to happen this coming Saturday April 20th has been cancelled by his would-be-bride. 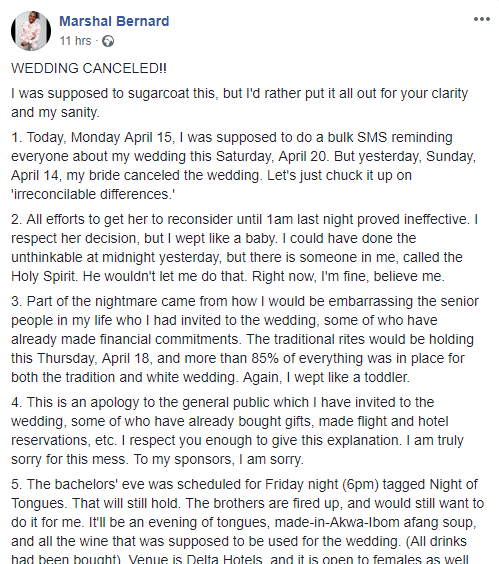 In a carefully written and well articulated post, the jilted groom stated that instead of the disappointing post he has put up, he ought to be sending bulk SMS to friends and family to remind them of his upcoming wedding until his lady called it all off two days ago. In another part of his itemised post, Bernard said he wept like a baby and begged his adamant bride to reconsider her stance. 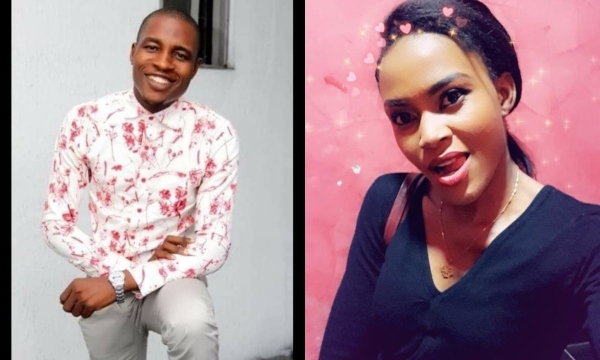 He also acknowledged that his post was in part an apology to everyone whom he had bothered with plans for the wedding as well as his sponsors; Bernard said he was sorry but will not be answering any questions on the platform. He did say he would chunk the mishap all up as “irreconcilable differences”.